Or at least that’s what seems to be the case for Abhishek Kapoor who gets back in the directing chair after a conspicuously long delay after his massively successful Rock on, now 4 years ago. Teaming up with the producers of Rang De Basanti and adapted from the novel of Chetan Bhagat, the trailer looks exactly like what you would expect when these 3 names would come together. 3 different guy friends (we never seem to get movies about female friendship as much) taking car roads, teasing each other and running from stuff. Pretty sure the movie will have heart and the newcomers do look quite energetic (although some have a bit of a Ranveer Singh hangover) but the trailer just looks a bit bland and paint by numbers for the moment. Music is by Amit Trivedi so that should be pretty amazing. 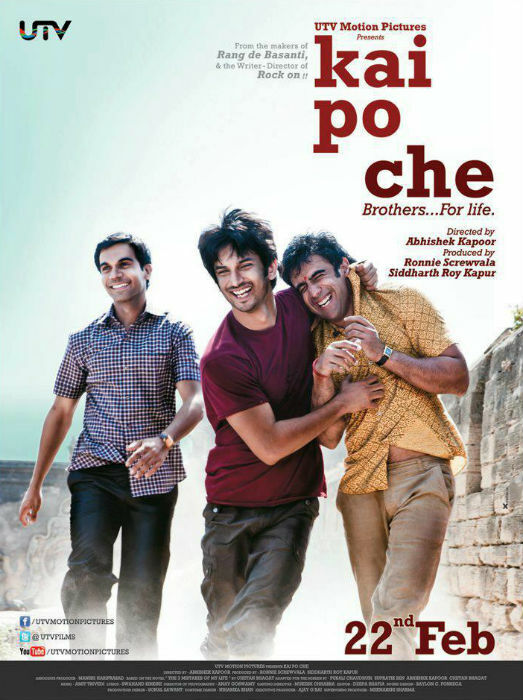 Kai Po Che releases in cinemas on 22nd Feb 2013.